Deadpool is one of the more unusual characters in the Marvel Universe. He is insane, a killer, a mercenary, a hero, an anti-hero, and downright funny! He is Wade Wilson, a human who was mutated and given incredible regenerative powers which, while allowing him to survive virtually any wound, also drove him stark-raving mad! Deadpool’s true background is somewhat confused, as his backstory contains contradictory information, but it is clear that as a young man he grew up in a violent and unstable home, and he enrolled in the U.S. military’s Special Forces, where he became a trained and experienced killer. 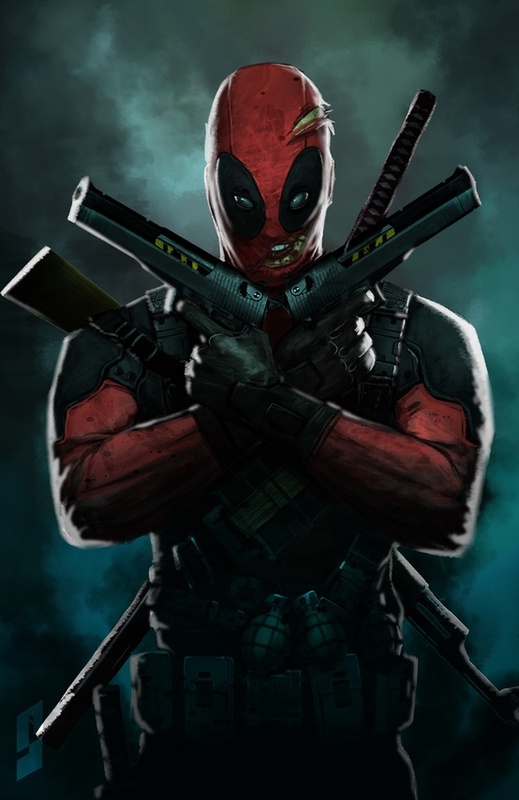 After leaving the army, Wade Wilson travelled the world as a highly-effective mercenary and assassin. Deadpool’s codename comes from his time as a test subject at Doctor Killebrew’s “Workshop” at The Hospice, where failed Weapon X experimental subjects went for further testing. 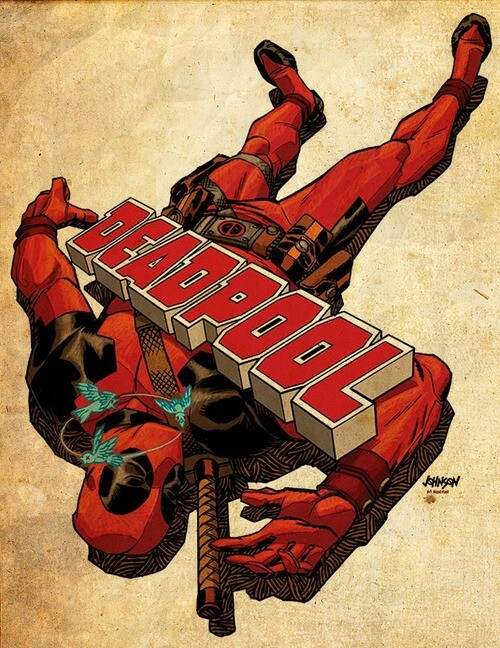 Inmates would place bets on who would survive the horrible experiments the longest, and due to his enhanced healing factor, Wade Wilson carried the longest odds against dying; hence the name Deadpool. 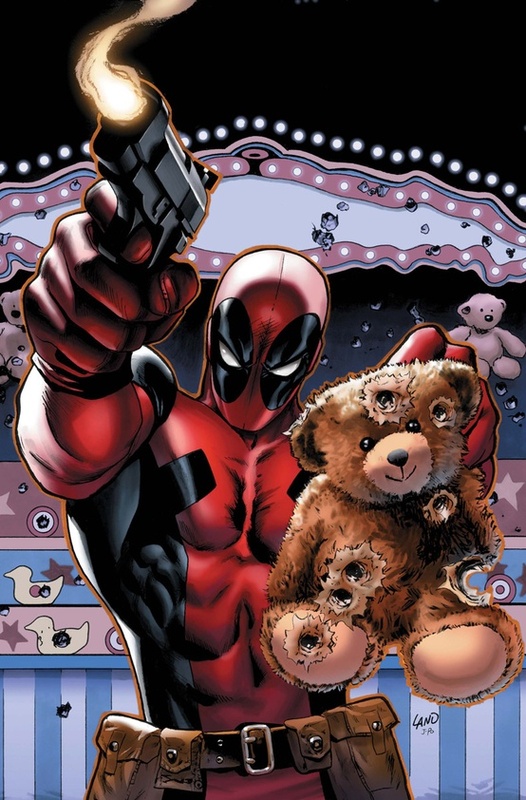 Since escaping from The Hospice, Deadpool has worked as a mercenary and assassin (usually killing only those who deserve killing), and occassionally working with various heroes in the Marvel Universe. He also often fights with various heroes in the Marvel Universe. His latest adventures have him employed by Nick Fury, fugitive former director of S.H.I.E.L.D. Fury had Deadpool infiltrate a ship belonging to the invading Skrulls in order to steal bio-data on the Skrull race. Deadpool’s primary power is an accelerated healing factor, depicted by various writers with differing levels of efficiency. Artificially endowed by the Weapon X program, this enables him to regenerate any destroyed tissue at a super-human rate as well as making him immune to all known diseases. An unanticipated side effect was an acceleration of the cancerous tumors he was suffering from at the time, causing them to quickly spread across his entire body. Because of this, his healing factor super charged his cancer, resulting in massive scar tissue causing his appearance to be severely disfigured. Deadpool’s brain cells are similarly affected, with dying brain cells being rejuvenated at a super accelerated rate. This allows Deadpool to recover from any and all head wounds, and it renders him nearly invulnerable to psychic and telepathic powers, as the altered or damaged brain cells quickly regenerate to their original state. It is also the cause of his psychosis and mental instability. Deadpool’s healing factor is strong enough that he has previously survived complete incineration and decapitation more than once, though his head had to be reunited with his body to heal the wound. Unlike Wolverine’s natural healing factor, Deadpool’s is mentally driven. Similar to Wolverine, his healing factor also affects his physical attributes by increasing them to superhuman levels. Though in earlier years he also had super-human strength, that detail has apparently been forgotten. Deadpool’s body is highly resistant to most drugs and toxins. For example, it is extremely difficult for him to become intoxicated. He can, however, be affected by certain drugs such as tranquilizers, if he is exposed to a massive enough dosage. Deadpool’s healing factor also slows the aging process. He is still alive 800 years in the future when the new X-Force encountered him. Aside from his physical advantages, Deadpool is a superb assassin and mercenary, versed in multiple forms of martial arts, and an expert swordsman and marksman. It is thought that while his psychosis and dissociative identity disorder is a handicap, it is also one of his attributes as it makes him an extremely unpredictable opponent.Taskmaster (who has photo-reflexive memory which allows him to copy anyone’s fighting skills by observation) was unable to defeat Deadpool due to his chaotic and improvised fighting style. Taskmaster has also stated that Deadpool is an expert at distracting his opponents. Over the years, Deadpool has owned a number of personal teleportation devices. Also, during Deadpool’s first ongoing comic, he possessed a device which projected holographic disguises, allowing him to go undercover or conceal his appearance. In addition, Deadpool is multilingual and can speak German, Spanish, and Japanese. 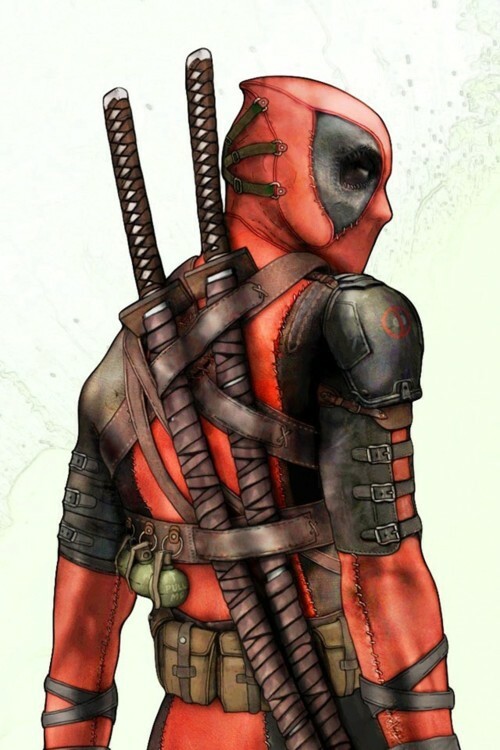 Occasionally, Deadpool has also been shown as having a magic satchel, often pulling weapons out of nowhere.